On Sunday, we had our first Art Party of the year. I don't know about all of the other Lunch Ladies, but I have greatly missed these days together. What a wonderful day, filled with fun and laughter, creativity and the company of such lovely, generous, thoughtful friends. I'm truly one of the luckiest gals on the planet. 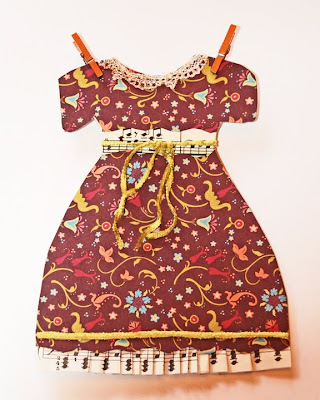 For our project this time, we made Paper Doll Dresses. 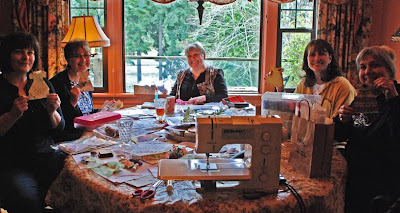 We put a big pile of community goodies in the middle of the table, then created our own dresses on a base of cardstock. Thanks to Linda and Grace's Big Adventure to the Paper Doll exhibit in Edmonds - that was the inspirational starting point for our project. 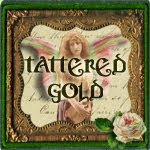 Thanks to Lyneen for providing links and ideas on her blog, and to Linda for bringing a template. And to Everyone for bringing goodies, smiles,great food and their zest for life. Lunch Ladies Rock! 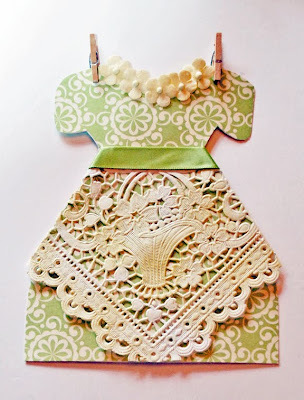 Kris added a paper doily apron to her dress with the flower collar - so sweet! If this doesn't make you think spring, nothing will! Miki's nearly-finished dress is gorgeous in muted shades of brown and blue. She wins the Best Use of a Bird Image honor of the day. (Yes, I just made that up!) 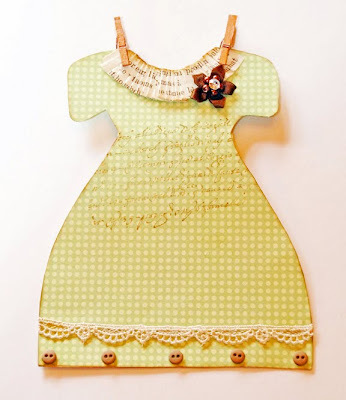 But, if I were a paper doll, this is definitely one dress I'd want to have! Linda's gingham dress is so cute - look at those teeny buttons and lace trim! And, such a cute pleated text collar. She started the clothes-pin trend, also. 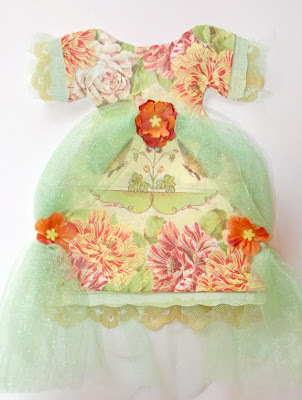 Can't you just imagine this adorable spring frock hanging on the clothesline, gently flapping in the breeze? The back of Grace's dress is just as beautiful as the front! 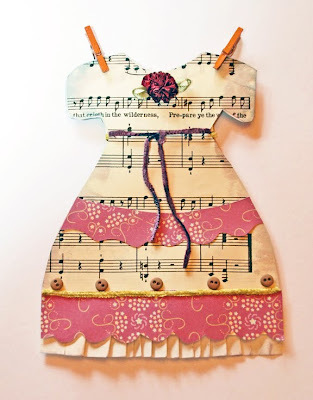 Such a lovely way to use music sheets, and look at that lovely pleated hem! This would have any doll humming a happy tune! The back of Grace's dress - yes, the back! Isn't it pretty? Her doll will be coming and going in style! My nearly-finished dress, which has since been revised by the addition of a gorgeous birdcage image given to me by Lyneen. Thank you, Lyneen! 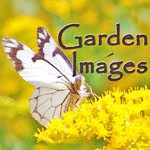 The beautiful flower print is from a dinner napkin Miki threw into our community mix. Thanks, Miki! And here is Lyneen's knock-your-socks-off creation. 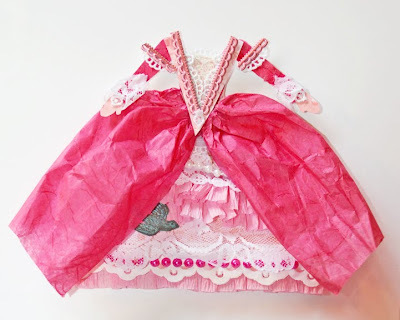 She made her own French-style pattern and embellished with machine-gathered crepe paper, lace, tissue paper, and Dresden trim. 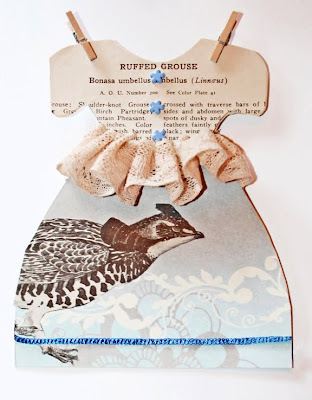 Isn't that bodice the cutest thing ever? Thank you, Ladies, for once again making the day fun and memorable! It was so much fun, Cathy! You and Jo are always such gracious hostesses! The dresses all turned out beautifully and your comments are so sweet and generous. I can't wait until our next art party! Oh, these are way too cool ... and beautiful! Wish I could have been there!! There is one lucky paper girl out there who would be so lucky to own such a wardrobe! They are all just lovely! What a fun day this was! I love how all the dresses came out...each one so different. Thank you Cathy and Jo for another wonderful afternoon! Wow... great post. Thanks for being such a gracious hostess... we always have such fun! Those are just darling! How tremendously creative. Thank you for sharing these lovelies with us! 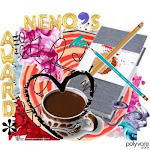 These are fabulous ~ and so is your gifts of friendship around the sewing table! You are blessed indeed!